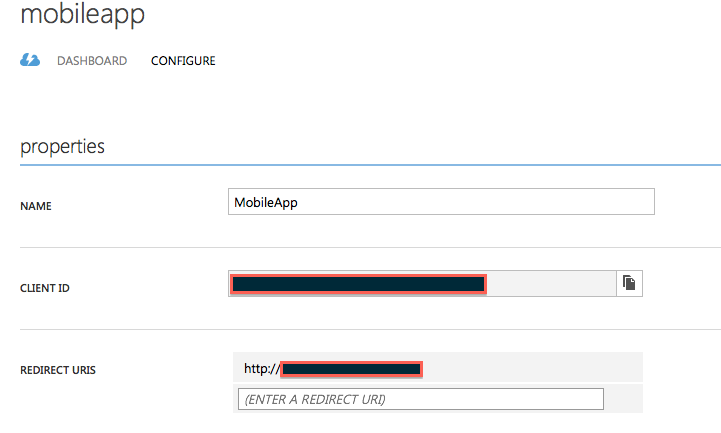 This blog post is one in a series that talk about Azure SSO Authentication in native mobile apps. 2. How to Best handle AAD access tokens in native mobile apps. Two weeks ago the Azure team released the ADAL (ActiveDirectory Authentication Library) library to enable developers implement a SSO (single sign on) functionality to Azure AD. This was great news for me as I have few clients who are keen on having this feature in their apps. In this blog post, I will share my experience in implementing Azure AD SSO on Xamarin.iOS apps. This will give you a user object (after it authenticates the user with Azure) and you could use that user for your future calls. This is slightly different from what we are going to talk about in this blog post. For further details on handling Azure Mobile Services authentication, you could check out this tutorial from the MSDN library. 1. Less code development and maintenance for you as Azure handles it by itself. 3. 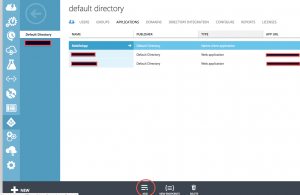 No need to further update your apis when Azure api/sdks get changed. 4. Extra features and goodness like token caching and token refresh operations. At the time of writing this blog, I have had few issues with the documentation on Azure, when trying to implement SSO on Xamarin iOS. The docs (as shown here) refers to classes and methods that do not exist in the ADAL library. This tutorial seems to be taken from the native iOS implementation of Azure SSO (as can be seen here) without any update to match the release of ADAL. Anyway, enough complaining, for this reason we have this blog post. To implement the SSO, I will assume that I have a native app, and I want to authenticate users against my AAD before they can use this app. For that, I would need to first create a native app in Azure AD. The screenshots below shows that. This is the client Id of the native mobile app that we just created on AAD. See the screenshot below. This is the unique redirect Id of the app that we just created as shown in the screenshot above. Resource id represents the resource Uri of the app that we are trying to access. So if we are trying to access some functionality of a web API that is also registered with AAD, then this resourceId would be the client id of this web api app. Once we have the app registered with AAD and we get all the info above, then all we need is just write few lines of code. We would also need to install the ADAL Nuget Package to our app. At the time of writing this post, the nuget package version is 3.0.1102… And it is in Pre-Release. Notice that it is pre-release, so it will not be listed in your Nuget package search by default. You would need to explicitly tell your IDE (Xamarin Studio or VS) to show pre-release packages. Time to write some code. The small snippet below shows how to authenticate the user and get a token. For the sake of this blog post, we only need to authenticate the user to azure. We will get the token and save it for future use, I have another post that talks about using this token. You can find it here. // IoC injection and other magic based on the platform that you are in. As you can see, it is very simple. You could keep a reference to your AuthenticationContext in your app. In fact, it is recommended that you do so, for later use as the aggressive GC on Monotouch might dispose of it quickly. Note that I am storing the token and the refresh token as I mentioned above, but you do not need to do that if you only using the library to authenticate once. In the next blog post, I will show how you could manage these tokens for further interaction with another app that is also using AAD for authentication. Hope you find this useful and would love to hear from you if you have any feedback. I will try to upload the source code of this sample to GitHub and share the link.